If you’re curious about the smart home hype, wondering what it can do for you, or thinking of building a more tech-savvy nest (but have no idea where to begin), then this guide is right up your alley. We walk you through the foundations of home automation to help you understand and navigate smart home building, smart terminology and the digital labyrinth of setups, systems, devices and various product add-ons. Let’s get started! Imagine waking up to the earthy aroma of fresh coffee, having the lights automatically switched off when no one’s in the room, or having the air conditioner set to the perfect temperature before you arrive home from work. How convenient! 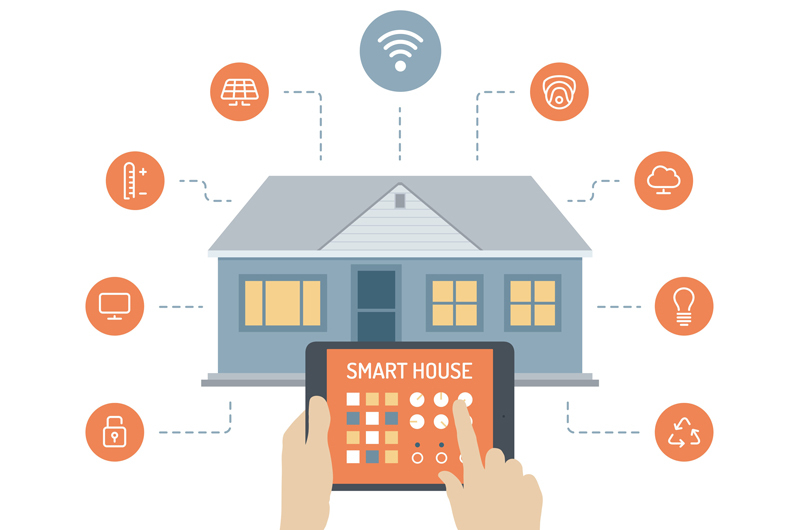 Basically, the term ‘smart home’ refers to having a wide range of interconnected gadgets, systems, appliances (you get the drift) that seamlessly communicate with the user and each other. This “smart network” gives you the control to operate, programme and automate connected devices to function according to your personal needs. ‘Home automation’ refers specifically to items in your home that can be programmed to function automatically, without any user input. This can range from simple functions such as fan timers and automatic light dimmers, to more recent updates like automated laundry appliances and home security sensors. Thanks to the recent boom in home tech, the possibilities are endless. When building a smart home ecosystem, the ideal scenario is to opt for devices that utilise the same communication protocol. Which in other words, mean that they ‘speak the same language. 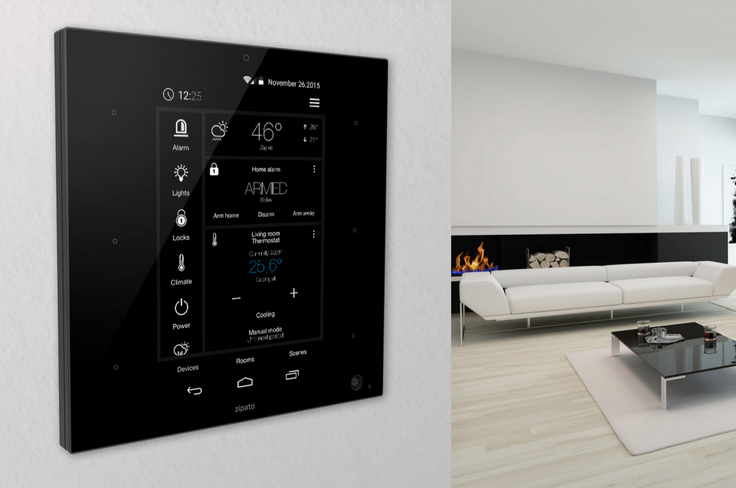 Home automation protocols include Bluetooth, Wi-Fi, Infrared, Ethernet, Thread, Zigbee KNX, Z-Wave and more. You probably already own and use Bluetooth devices around the house, such as wireless speakers, headphones, etc. Bluetooth is a common protocol that’s used in most wireless devices and uses minimal power when operating. But a huge drawback is that it has limited range and works best when used within a specific room – a factor that those with larger homes should keep in mind. One of the most popular protocols, opting for Wi-Fi means you can simply use an existing wireless router to connect to your devices via app. With Wi-Fi enabled devices, users can forgo the need to use a dedicated smart hub to translate different signals. But if you already have a bunch of devices connected to your router – think laptop, phones, TV, and tablets – there’s a high chance of lag-inducing bandwidth issues. The simplest and most reliable of the lot, Infrared offers one-way communication. It’s usually used in remote controls, like for your TV or air-conditioner. The most used wireless standards in smart homes today, these protocols operate in a similar fashion – they are essentially alternative communication methods that smart home gadgets can use, rather than relying on Bluetooth and Wi-Fi. They offer key benefits such as less power consumption, longer range (they are both mesh networks that allow signal-hopping from gadget to gadget), and are compatible with over 2,000 devices from many home tech brands. In fact, Zigbee has around 2,500 compatible products from 400 brands, whereas Z-Wave has 2,400 supported devices with 700 members. 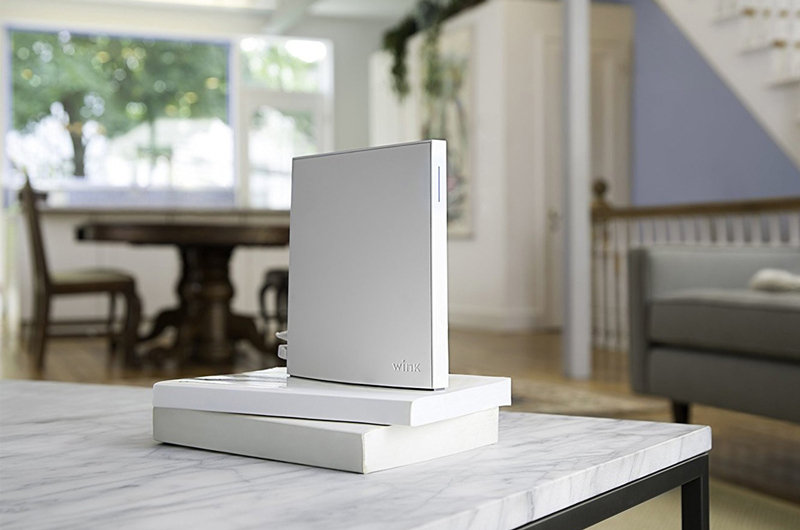 With that being said, Z-Wave and Zigbee both require a central hub that connects to the Internet – which adds to your budget. But thanks to its mesh network, you don’t have to worry about the entire network crashing because of a malfunctioning device. It provides alternative signal routes which allows the rest of the system to stay online. Think of a smart hub as a gateway where all devices in your smart home network can be connected, even if they’re from various manufacturers and use different protocol types. And by integrating different signals from smart gadgets together, it allows users to easily control every device via a single interface, instead of having to toggle through various apps. With smart home hubs in place, users can go far beyond manual interactions. You can easily configure devices to detect and react to specific events, ie. having a light sensor draw the curtains when it detects strong sunlight, or switching off lights and air conditioning when no one’s home. Programming pre-determined scenarios such as setting the alarm, adjusting the lights and brewing a hot cuppa when you activate the ‘Morning routine’ is also possible. 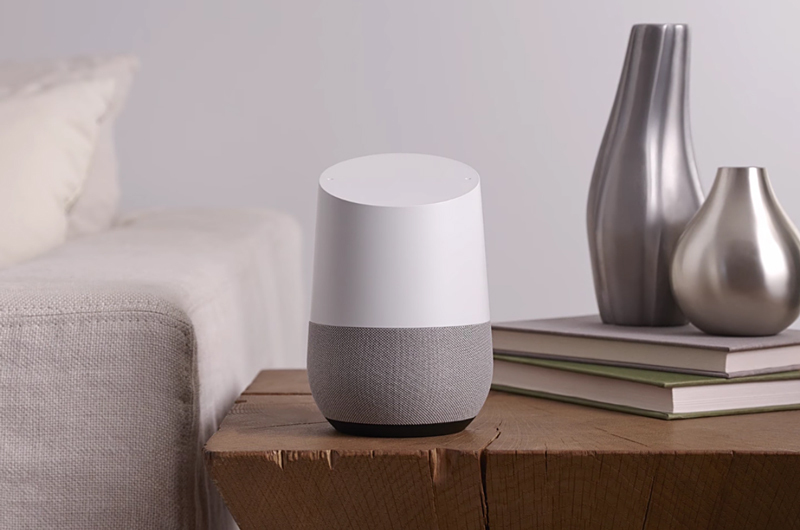 From Google Home to the Amazon Echo, smart speakers offering voice-activated control have exploded in popularity. Varying in price, these voice-command modules are able to perform simple tasks such as playing music, reading the news, taking phone calls, checking the weather and more. Third-party device integration and smart home automation is also available, although the array of options largely depends on which brand ecosystem you choose. Setting up a smart home doesn’t mean you have to do a complete overhaul of your existing gadgets, especially since it can get rather costly to do so. Rather, you can build on your current tech ecosystem and replace any interconnected device, appliance or tool as you deem fit. Start small; choose an area of the home to start, preferably a common area so that the technology is easily accessible to all members of the household. To help you figure out what actually need, take a look at the devices you use on a daily basis and how it can complement your day-to-day routines. If you’re always wondering whether you’ve left an electrical appliance on after leaving the house, a smart plug that can be switched on and off remotely will ease your mind. Or perhaps a smart door lock that allows the entire family to go keyless will allow daily comings and goings to be more efficient. It’s all about how you can make your life more convenient and manageable. From there, breathe life into your smart home by outfitting it with your favourite smart appliances. Welcome to the future!